We’re all used to the Technicolor realities of modern cinema by this point, but there’s still more than a few examples where, either by economic necessity or stylistic preference, it’s monochrome in the multiplex. Today we’re looking at some notable examples, namely Pi, The Good German, Good Night and Good Luck, Schindler’s List, The Mist, The Man Who Wasn’t There, and La Haine. Darren Aronofsky’s 1998 debut film will always be a film I struggle to view dispassionately, as it’s another one of those movies I watched in my formative years of film viewing that pushed at the envelopes of what I’d considered film could do, putting it in the exalted company of Takeshi Kitano and Shin’ya Tsukamoto. So, despite its unarguable weirdness, I’m hugely fond of it. Shot on a shoestring of $60,000, which perhaps more than any other factor accounts for its remarkable look, it follows genius mathematician Max Cohen (Sean Gullette) who’s working on a theory that the stock market is a natural system, and like all natural systems, must have a pattern that he can find with the aid of his jury rigged supercomputer Euclid. Max’s genius comes at a price, as he’s plagued with crippling headaches that seem to be getting worse the closer he gets to his goal, along with a side order of unsettling hallucinations. His paranoia isn’t helped by mysterious corporate body that’s surveilling him under the orders of Macy Dawson (Pamela Hart), and trying to bring him under their wing to benefit from his work should he succeed. Fending them off for now, he has a chance meeting with Lenny Meyer (Ben Shenkman) a Jewish numerologist who introduces him to the kabbalah, the Torah numerology bonkerism that his cult of Hicidic Jews have been toiling away at. Max’s interest is piqued when Lenny starts talking about their ultimate aim of finding a certain 216 number string, which happens to be the exact length of the error string Euclid put out in its latest number crunching run, before giving one nonsensical stock pick and failing. Coincidence, as his mentor Sol Robeson (Mark Margolis) would have it, but it turns out that wildly improbable stock price was correct. Being so close, he’s finally won over by Marcy’s offer of an advanced, classified computer processor, which Max uses to run through the Torah as a different dataset, again yielding a crashed computer and the 216 character numeric string that now can’t be printed, with Max resorting to pen and paper, before another crippling headache incapacitates him and has him passing out. What follows is a dizzying chain of events, imagery and proclamations about the nature of the number that don’t make a lick of sense, but never fails to carry me along with them despite their ludicrosity, all leading to the by that point seemingly obvious migraine control technique of DIY trepanning with a power drill. This is a rare instance where a consistently overpowering visual and sonic assault on the viewer didn’t just deflect me from the film, but instead drew me in. By the nature of this episode we’ll talk about the visuals, but particular mention must first be made of ex-Pop Will Eat Itself member Clint Mansell’s pounding, driving score that provides a manic bassline for the film to dance jerkily to. Incredible work, and the start of a great new career for him. The intensity is reflected in Sean Gullette’s performance, which is commendably manic. The supporting cast largely do well with what they’ve got, although some characters are wildly underwritten, such as Samia Shoaib’s next-door neighbour Devi, who’s also saddled with the clunkiest lines in the script. However, they’re all very much the support, with the spotlight firmly on Gullette. The film is shot in black and white Reversal stock, difficult to work with, but giving it a high contrast, gritty, punchy feel that suits the tone of the film perfectly. Aronofsky says he was inspired by the graphic novels of Sin City, and it’s interesting to see how close you can come to that in the camera, as opposed to the reams of digital manipulation route Robert Rodriguez was forced down. I’m sure the wall of sound and breakneck editing pace, along with some pretty esoteric subject matter, means that this is very much not a film for everyone. It is, for want of a less slippery term, a bit too film school project-y for huge mass market appeal, but this certainly showcases the assured hand and attention to detail of Aronofsky right from the outset of his career, so if you liked his later, more familiar films such as The Wrestler or Black Swan, Pi goes to show there’s great reward in diving into his back catalogue. George Clooney plays a war correspondent returning to Berlin after the end of WW2, hoping to reconnect with a former lover while covering the Potsdam negotiations. This draws him into a shadowy world of conspiracies, cover-ups, and murders connected to the headhunting of Nazi scientists for the various Allied post-war technology programs. 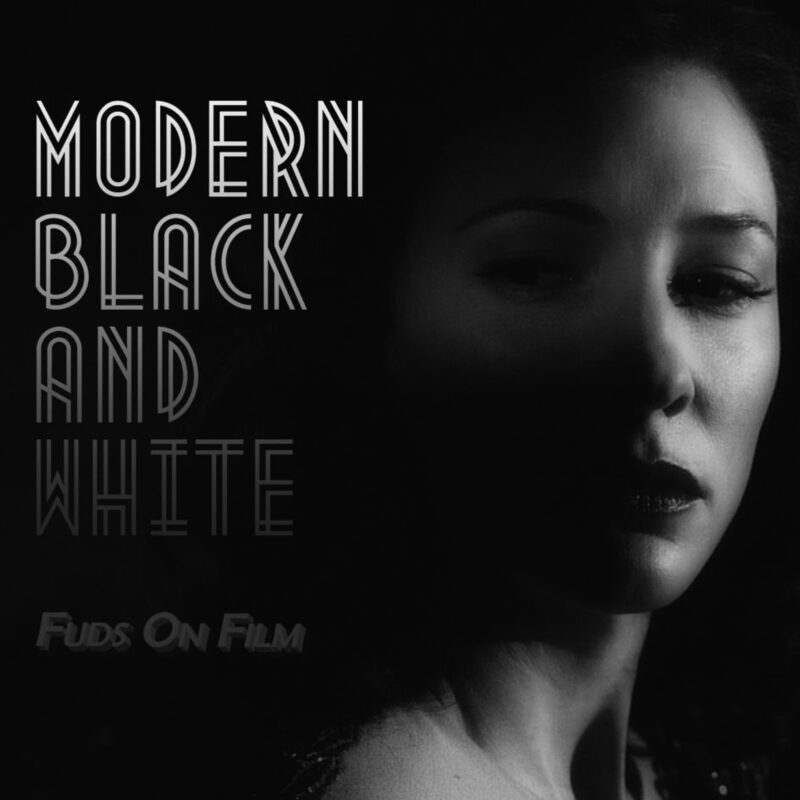 Steven Soderbergh certainly injects a tonne of style into this tale, which attempts to tell the sort of gritty tale common enough today in the style of a yesteryear, when such a thing was prohibited by the Hays Code. There’s a good film in here somewhere, but it’s buried under a pile of (admittedly gorgeous) visuals and obscured with some stunt casting (such as a Tobey Maguire performance wilfully and atrociously against type) that rather gets in the way of the story. I guess it’s because it’s also aping the overall aesthetic of a 40’s – 50’s movie, rather than “just” being in black and white, this film is the one on this list that sticks out as gimmicky. It’s by no means a terrible film, and a hugely distinctive one, but it’s a very mixed bag. In what’s commonly held as one of the great, brave acts of American journalism, Edward R. Murrow takes on the un-American forces of, ironically, the House Un-American Activities Committee, in particular its Witchfinder General ‘Uncle’ Joe McCarthy. George Clooney directs a phenomenal performance by David Strathairn, with a hugely interesting, intelligent and sadly still relevant narrative about government over-reach and the media’s place as a check against this. It may also be the most effective in this list regarding its use of depth of shade, making it a very pretty film indeed, even when covering some very ugly politics. I guess I should make a confession here – until preparing for this podcast I had not seen Schindler’s List. Not, really, because I doubted that it would be a very good movie, but more because while I’m no WW2 scholar, I’m quite aware of the atrocities committed on the Jewish people by the Nazis, and a three hour exploration of that seemed to be a recipe for wrist-cutting. I’m pleased to see that my spidey-sense is not altogether inaccurate on this one, as Spielberg’s opus, probably Magnum, or at least a Calippo or Cornetto, is indeed both very good and very depressing. Nazis were bad. Hitler was bad. For those not familiar with this particular slice of Nazi badness, we travel to annexed Kraków, Poland where the Jews are soon forced from their homes and crowded into a ghetto. Meanwhile Nazi Party member Oskar Schindler (Liam Neeson) arrives with the intention of making money. After elaborately smoozing the ranking Nazis, he’s allowed to open up an enamelware factory with a staff composed of Jews subject to forced labour. He quickly finds local official Itzhak Stern (Ben Kingsley) to take on the actual management of operations, as well as help finance the purchase of the factory – Schindler’s investment terms being better than the Nazi’s innovative “total forfeiture” current account. While initially Schindler seems more concerned with profits than working conditions, he at least turns a blind eye when Stern starts bringing in more workers to protect them from being sent to concentration camps, however his attitude starts changing once Amon Goeth (Ralph Fiennes) shows up to run the recently built labour camp. Quite aside from his charming character peccadillo of arbitrarily shooting prisoners, his order to “liquidate” the Kraków ghetto, which is quite the charming euphemism for mass murder, marks the inflection point in Schindler caring more about his fellow humans than Reichsmarks. As the war rumbles on, and the conditions for the Jewish people get continually worse, Schindler continues to find ways to spare as many as he can from the horrors of the extermination camps, eventually going so far as to open the world’s least productive munitions factory in his hometown in what’s now the Czech Republic. He spends all of his money on colossal bribes to Goeth to relocate workers on the titular list to this new work camp, keeping some one thousand people alive that would otherwise most likely have perished at Auschwitz. Given the subject matter, it is in no way an enjoyable film. “Harrowing” would be a more apt term. By the end of this I was well and truly harrowed. Harrowed aff ma nut. Charming village, that. We can, however, find a great many things to appreciate. While there’s not a bad performance on screen, of course it’s Liam Neeson, Ralph Finnes and Ben Kingsley that deservedly take the mindshare. The historical detail is remarkable, and it never looks anything other than completely convincing. Neeson, hard as it is to fathom now, was not a particularly familiar face back in 1993, except to those who had seen Sam Raimi’s thematically similar Darkman or a few supporting roles, and he certainly gives a star-making performance. Portraying well Schindler’s heel-face turn, and the double act with Ben Kingsley swings between entertaining and touching on a dime. Naturally, it’s Ralph Finnes’ character who casts a bigger shadow, playing a character that would seem to be cartoonishly evil and entirely unbelievable, were there not sufficient evidence to confirm that Amon Goeth was indeed a murderous psychopath of the lowest order. As a hateful avatar of evil, he’s pretty compelling, particularly the scenes with his poor tormented maid. I don’t know if this is the definitive Holocaust film, to be honest with you. It is, after all, a tale concerned with a small victory amongst the colossal, revolting extermination, but that’s a story better told by history and documentaries than narrative fiction. This is, like the film’s occasional use of colour, about finding some life and light amongst the dark and death. Regarding which, while that child with the red coat has become an enduring motif of the film, and focusing down to the plight of one innocent in particular can make it easier to understand the horrors than when applied to a mass of humanity, it’s a bit too cheesy for my taste. An upmarket cheese, for sure, but cheese nonetheless. Perhaps the effect has been diminished by a million selective colour smartphone apps. These, well, they’re not even quibbles really, aside, there’s no reason not to give Schindler’s List the plaudits it deserves – it’s one of those rare Oscar winners that don’t leave me scratching my head and wondering why it’s better than such and such or whatever (both fine films). Thomas Jane and a supermarket full of people in Maine go into siege mode when a unearthly fog, which I suppose we’ll just have to pretend is a mist, rolls over there town, bringing with it an assortment of murderous alien creatures that seem to have wandered in from a Half-Life level. There’s problems with the humans trapped inside too, with a local hellfire preaching crazy woman, played by Marcia Gay Harden, starting an end-of-days cult against an admittedly convincing end-of-days scenario, before deciding that human sacrifice of the unbelievers is the way to salvation, proving that humans are the real monsters. Again. An oddity on the list, with Frank Darabont’s 2007 film getting a director’s cut on the home formats in black and white, as opposed to the colour theatrical release. Seemingly this, along with the exceedingly grim ending, changed from Stephen King’s source material, were Darabont’s idea all along, but the studio perhaps understandably fought these. In the end Darabont got his ending, compromised on shooting in colour, and was hit by a massive budget reduction. That reduction hit the special effects budget hard, and some of the creatures and their animations are a little on the shonky side. The black and white treatment helps this, but that’s never really bothered me about this film, which remains a greatly entertaining film with some of the best characterisation in a horror film you’ll see, and the audacious ending really has this stand out as something special. Quite what the point of this Coen Brothers Noir-Comedy about a roundly indifferent barber being drawn into a bunch of escalating blackmail, murder and UFO-abduction plots (!) is a matter entirely open to debate, but it’s certainly cutting a distinctive figure while doing it. Backed by a clutch of great performances and some sharp dialogue, this is an enjoyable and great-looking outing that defies easy categorisation, or expectation, and is one of the more overlooked Coen films. It shouldn’t be – despite its madness, it’s very enjoyable. Open your heart to it. These days Mathieu Kassovitz’s 1995 outing La Haine is perhaps best remembered for introducing the world outside of France to a fresh faced Vincent Cassel – fresh faced enough for the then 28 year old to be playing someone I at least interpreted as late teens / early twenties, Vinz. He’s an angry little boy, raging against the circumstances that sees him stuck in the impoverished banlieues on the outskirts of Paris, and specifically at the arrest and severe beating dealt out to his friend Abdel as the police were dealing with a riot, which seems to be a relatively frequent occurrence. He’s on his way with his friend Saïd (Saïd Taghmaoui) to meet their marginally older friend and gym owner Hubert (Hubert Koundé), also a small time drug dealer. Hubert is the calm, collected, level headed one of the trio, at least relatively speaking, counselling that not all cops are automatically against them. Saïd’s attitude sits halfway between the two, perhaps tending towards the opinion of whoever he’s talking to at that moment. La Haine follows the trio as they start off on what’s presented as a typical day in the banlieue, with Vinz desperately trying to appear tough to ingratiate himself with the gangs that lord over the place, largely through his expressed wish to kill a cop. The trio make plans to visit Abdel in hospital, but before they head off to the city, Vinz has something he wants to show his compadres. In all off yesterday’s kerfuffles, with the rioting and the violence, oi vey, Vinz has managed to get his mitts on a handgun. It was left by a policeman, I believe his name was Chekov. Hubert wants Vinz to leave the damn thing behind, knowing that it’s dangerous enough in the right hands, let alone Vinz’s wannabe cop-killing ones, should Abdel not pull through. And off they go, in to the centre of Paris, where they both subvert and entirely justify the stereotypes of the miscreant, trouble-making youths. Still, when Saïd and Hubert are picked up by the police, essentially for loitering, it’s hard to see the police as being the good guys in this dynamic, as they abuse, insult, beat and humiliate the boys, seemingly only as a demonstration exercise to teach a new cop how to be an asshat. Released, but having missed the last train home, the night stretches out for them to doss about, but hearing news that Abdel has died infuriate them. Things look hairy after a run-in with a group of skinheads they earlier insulted from the safety of a rooftop, although they get the upper hand once Vinz pulls his handcannon out. Vinz threatens to kill one of the skinheads as a stand-in for the cops that he’s sworn a vendetta against, but Hubert manages to talk him down and in the process tear down the tough-guy, gangster-wannabe act that Vinz has been trying to run with, proving there’s light at the end of the tunnel for him. Unfortunately for Vinz, as Half Man Half Biscuit would tell us, the light at the end of the tunnel is the light of an oncoming train, and look away now if you don’t want to hear the results, one of the more obnoxious cops shows up as they return home in the morning and, accidentally, shoots and kills Vinz. Hubert, who’d earlier taken Vinz’s gun off him for safekeeping, pulls it on the cop. It fades to black. There is a gunshot. Who wins? Most likely, no-one. It’s a powerful ending, but a bit of a bolt from the blue. Sure, it’s not far off how you might expect this would end given the first half hour, but I’d rather hoped it would subvert that expectation given that it does a pretty effective job of developing the characters, or certainly Vinz’s, over the course of the piece. It doesn’t seem like his story should end this way, and no just because there is no reason whatsoever for the cop to do what he does apart from as a means to force this ending. Impactful, perhaps, but rather falls apart on analysis. And it’s not like the ending really fits with the tone of the rest of the film either. While, admittedly, that description what I just gave with the essential facts of the film sounds pretty grim and gritty, and sections are, a lot of this is really quite enjoyably lighthearted, perhaps to the detriment of the parts where it’s aiming at somewhere between The 400 Blows and Scum. There’s a twist of surrealism throughout that I enjoyed being baffled about. I do not know why there is a cow wandering around that apparently only Vinz can see, and I’m just as baffled as the lads are by the auld geezer’s monologue in the public bathroom. Mathieu Kassovitz shows a lot of potential in La Haine, which does not appear to have been fully realised – one could argue that the definite plus this film puts in his column in no way matches the minus of Gothika. At least he’s finding regular work as an actor, notably appearing in certified Fuds On Film Favourite Amélie. Is this the defining document of disaffected mid-nineties French youth? As it’s the only one I think I’ve seen, I suppose it is by default, although how true this was to the facts on the ground I can only guess at. Certainly, it feels authentic, while being a vibrantly told and likeable character piece, even in the moments where the characters are not being all that likeable themselves. This is another of the films I hadn’t seen before preparing for this podcast, and while it’s certainly not the obvious classic the way that Schindler’s List was, I certainly enjoyed my time with the film and would be happy to recommend it to anyone looking for some urban commentary along with an absorbing little character piece. Of course, there’s many more films we could have spoken about in this list, such as enduring slacker favourite Clerks, but perhaps we’ll save that for a revisit of this topic. If you’d like to hear that, please get in touch and tell us! If you’ve been affected by any of the issues discussed today, please hit us up on Twitter (@fudsonfilm), on Facebook (facebook.com/fudsonfilm), or email us at podcast@fudsonfilm.com. If you want to receive our podcast on a regular basis, please add our feed to your podcasting software of choice, or subscribe on iTunes. If you could see your way clear to leaving a review on iTunes, we’d be eternally grateful, but we won’t blame you if you don’t. We’ll be back with you on the 10th with a look at The Illusionist and The Prestige but until then, take care of yourself, and each other.